The European Parliament's ethics committee is set to censure a group of nine lawmakers who are suspected of accepting favours from Azerbaijan during an electoral observation mission there in October last year, reports euractiv.com. Kriistina Ojuland (ALDE, Estonia), Jacek Włosowicz (EFD, Poland), Slavi Binev (EFD, Bulgaria), Jirí Maštálka (GUE/NGL, Czech Republic), Ivo Vajgl (ALDE, Slovenia),Alexandra Thein (ALDE, Germany), Hannu Takkula (ALDE, Finland), Oleg Valjalo(S&D, Croatia) and Nick Griffin (non-attached, UK), all flew to Azerbaijan last October to monitor the elections. However, they "forgot" to tell Parliament that they had been invited by the Azeri government and did not declare the trip on their website, as required by the Assembly's new code of conduct. The Parliament advisory committee on the conduct of members, which oversees ethics in the EU Assembly, will look into the cases of the seven MEPs today (11 February) and is expected to adopt sanctions against them. 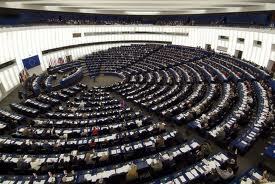 The committee is also questioning whether the MEPs were remunerated for this task, on top of the paid trip. After their mission, the group produced a report describing the elections as "free and fair”. Embarrassingly, their assessment was radically different from the mission from the Organization for Security and Co-operation in Europe (OSCE), which found "serious problems” related to freedom of expression and assembly.